Meet Naomi. A Paramedic and Artist from Calgary. She pledged to paint 100 portraits in 100 days as part of her Paramedics Call To Action. 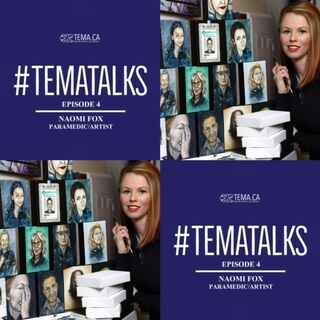 Also learn how you can win 1 of 5 Tema Swag Bags! Subscribe, Listen, Comment, and Share. Enjoy!